Many people think that once they are sued over a debt that they owe, their only option is to seek the help of an attorney. 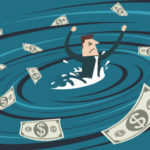 While a debt attorney can be helpful in certain cases, they are usually not the best option for handling a debt suit—nor are they the least costly. A debt attorney generally requires a retainer, and then bills his or her hourly rate against the retainer. If an attorney spends any amount of time on your case, whether it’s a phone call, email, or drafting a motion, it is billed. Once the retainer is depleted, it must be replenished, whether the job is completed or not. This can become a very large expensive for companies who are already struggling with cashflow in the first place. At Fuselier & Associates Financial, we are Certified Debt Negotiation Specialists, so we focus on commercial debt reduction, which is a much more cost effective way of handling a debt problem. See how our method compares to hiring a debt attorney. An attorney will always approach a debt case with a legal analysis. An attorney will argue to win the case. They will try to see if you have any partial defenses, affirmative defenses, or counter claims that would make the debt invalid. Their end goal is to win the case. They charge by the hour. The longer an attorney works on a case, the higher their fees will be. They have expertise in litigation. They can be hard to get ahold of. We always approach the issue with a financial analysis. We charge a flat fee. Whether we work on the account for a month or year, our fee is the same. We specialize in financial negotiations. We work to prove a financial hardship. Our end goal is to reach a settlement agreement with a reduction in the amount of debt owed. We have negotiated reduced settlements with thousands of creditors and attorneys across the country. We can help your business find funding. Our settlements revolve around the client’s financial capabilities. We negotiate settlements that our clients can afford under their current financial position. You are adamant that you do not owe the money. This means you have a strong legal argument or defense as to why you do not owe the money. Bankruptcy is your only option. You do not want to settle your debt and end up paying less money to the creditor. You owe the money (either all or part of the debt). You would like a settlement agreement with monthly payments you can afford. You want to avoid filing for bankruptcy. You want to continue using that vendor. You want a faster resolution to your debt problems, not a long drawn-out court battle. 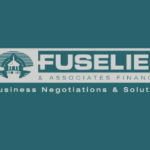 At Fuselier, we negotiate solutions that work for our clients, oftentimes saving them thousands of dollars. If you have been sued over a debt, download our free guide to find out what you can do to minimize the damage and get your affairs back on track, or contact us today to see how we can help you.